Our body is a marvel. But in order for it to work in the best way, it needs to be able to function well too. Perhaps you have been aware of general backache and stiffness for some time? It’s only when the pain becomes harder to dismiss and starts interfering with your daily life, especially your sleep, that you decide to do something about it. Consultation and treatment – let’s get you out of pain as soon as possible, it can really bring you down! You start to feel better. How are we going to stop this becoming a recurring theme? By looking at your weight and body health, we can see where you are in relation to the healthy ranges. Would you like help and advice with your eating? Increase your general activity which will help with back and joint pain. Let’s look at ways to get you out and about a bit more. You can join me in Nordic Walking around Wilmslow, which fits into most people’s lifestyle. Or let’s talk about alternative ways to get you moving. 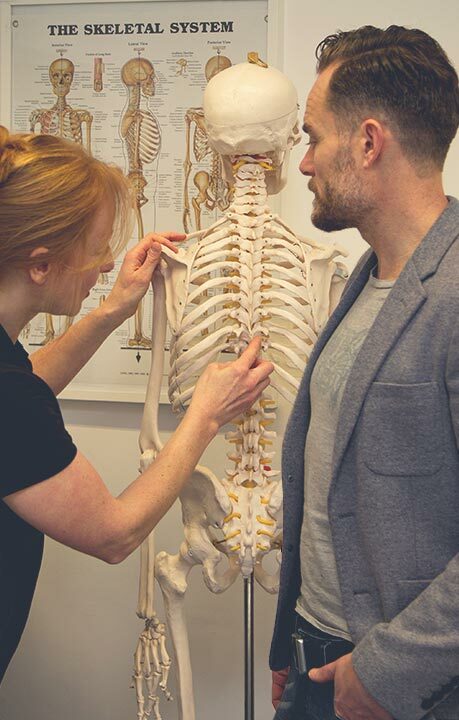 Osteopathic treatment in basic terms looks at someone who is in pain and establishes where their pain is coming from and what’s happening in the area of the pain – what structures are under stress and strain. 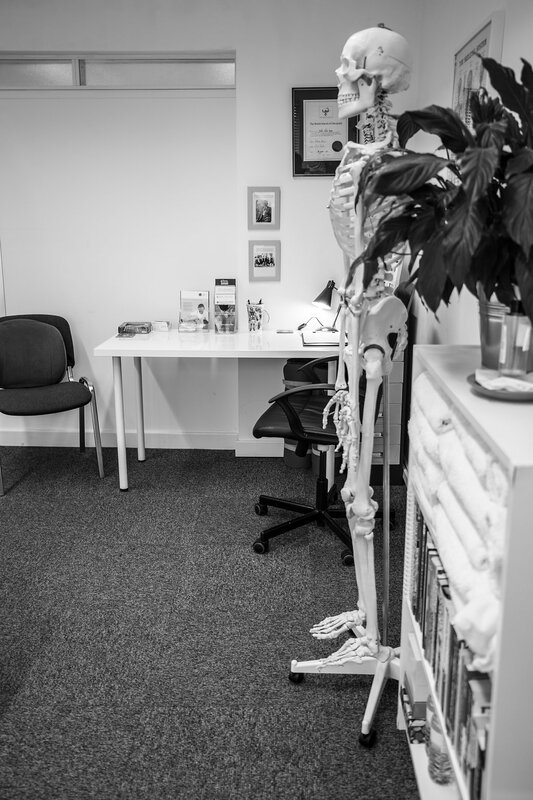 As an osteopath, I look at your whole body from the feet up – how your balance is in each leg, the muscle tone in your calves, your hips, and up your back. Then I look to see if everything is equal and working in sync. Is your posture balanced? Can you do basic spinal movements? If not, what is stopping you? It might seem as though I look at parts of the body where you don’t have any pain, but I am looking to see how the whole body interrelates so that I can ease that pain for you. I will offer you an unhurried, thorough assessment of your body frame. 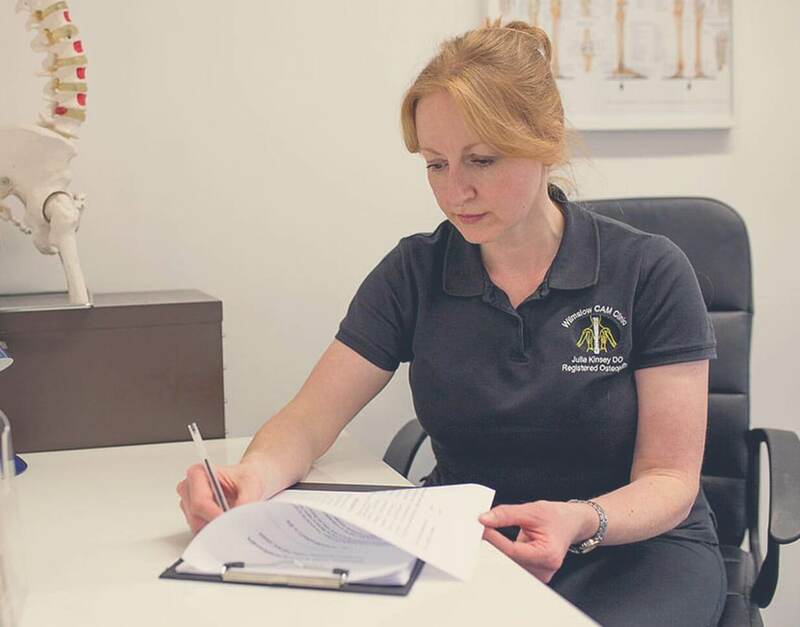 When you see me for a consultation, I will ask you to complete a Health Screening Form and I take a Full Medical History followed by a careful musculoskeletal examination to check your body. People carry a lot of stress from just living and often don’t have the opportunity for that to come out in an eight minute consultation with a GP or a half hour NHS Physio appointment. I want you to be unhurried and relaxed, so that you can express yourself about what is feeling wrong. 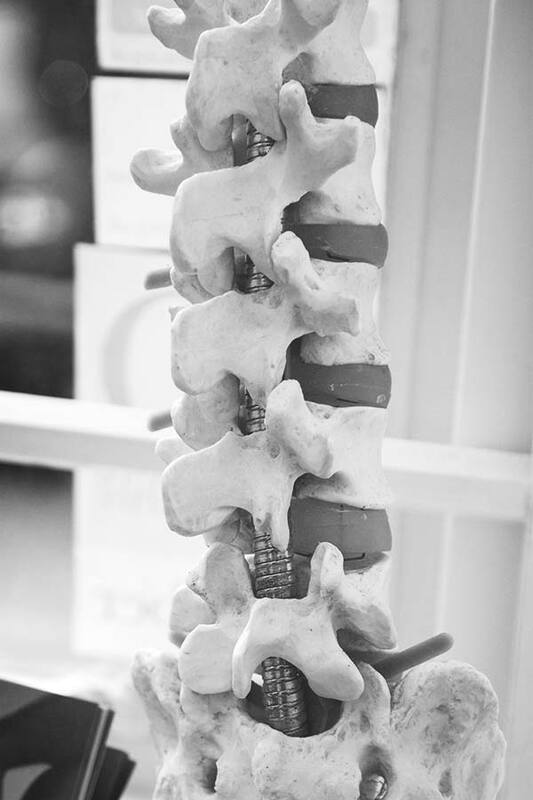 As we work together to find out what the problem is through looking at the functions of your spine, a pattern of dysfunction may start to emerge. Clients often feel relieved to know that their symptoms make sense! Treatment, for the most part, is very gentle. Although the affected area may be very sensitive or painful, I will work carefully within your tolerance of pain. 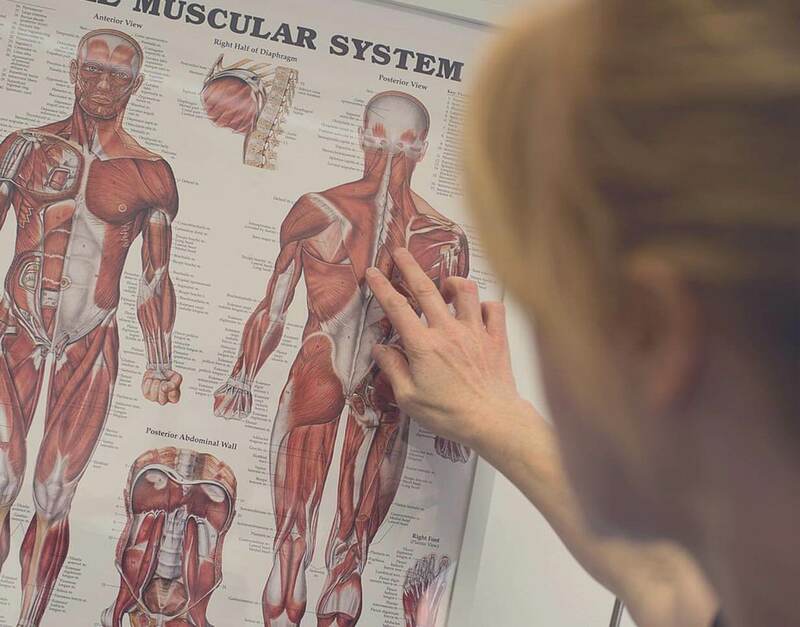 Deep muscle massage can be uncomfortable but putting you under too much pain is counter-productive as it will create even more muscle tension. I will use only as much pressure as is necessary to be effective. The minimal necessary force is also used with spinal joint adjustments. I will always stop if you’re feeling too uncomfortable. What can you expect after your Osteopathic treatment? You may feel your body change immediately after our consultation. I can advise you how to manage any post treatment soreness, which is usually short lived and will go away within 48 hours. 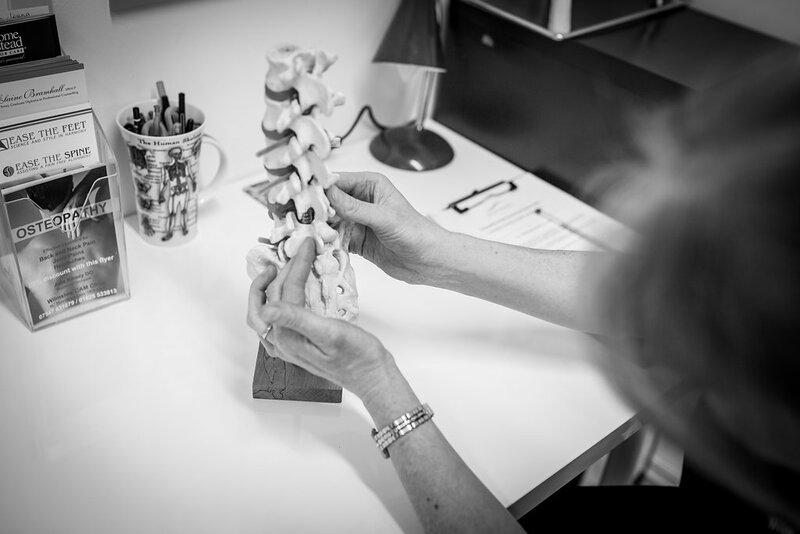 We can also discuss postural advice and exercises for you to take home and continue. My aim is to provide the best care I can for you. Let’s work together to get you back in control of your body and enjoy a healthy and comfortable life! Click here to contact me and book your initial consultation. The following forms will provide information that you may wish to know prior to having an osteopathic consultation. It is necessary for you to complete The Health Screening Form before your consultation so that I am aware of details about your general health. This is to ensure I provide appropriate treatment and advice. In order to save time during your consultation, you are welcome to download and print this out to read and complete prior to your consultation with me. Many people with painful long term joint or back conditions can become less active. This pain sends them on a downward spiral. Reduced activity leads to weight gain, which leads to further joint pain and then restriction of movement. As part of my osteopathic service, I can help you overcome these problems by increasing your activity in a managed way as well as monitoring your weight for no extra charge. If you would like help with reducing your weight, we can discuss what you eat on a daily basis and the time you eat it during a typical day. I will ask you to record it in a Food Diary. This gives us a starting point to discuss what changes may need to be made in your daily eating pattern when we compare it to National Dietary Guidelines. 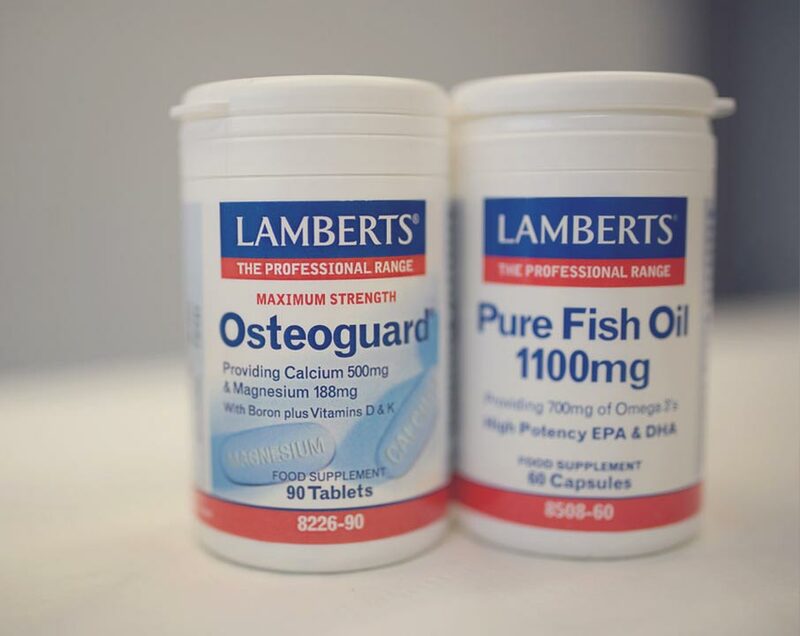 We will look at your diet to make sure you are getting the best vitamins and minerals necessary for optimum bone and joint health. I am also able to supply products which can aid weight management such as Slimroast Weight Management Coffee. Bringing your weight down will reduce stress on your joints and lead to less pain. 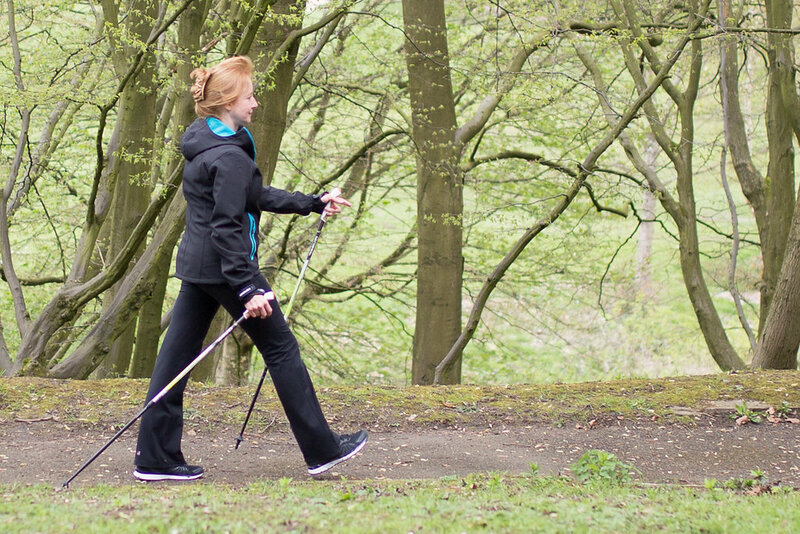 One way to help you become more active and improve your posture and walking gait is through Nordic Walking Technique – click here to find out more information about how this can help. If you would like to discuss any of these issues with me, please call me on 01625 533813 / 07547 631679 or click here to contact me and book your initial consultation. Another part of my service to clients is free blood pressure check-ups. I can also give advice on how to change your diet and lifestyle to encourage a healthy blood pressure measurement. 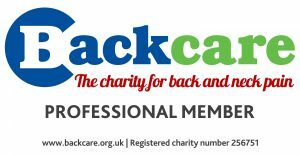 I register annually with Blood Pressure UK to take part in their “Know Your Numbers” campaign to encourage members of the public to get their blood pressure checked. Every September during ‘Blood Pressure Week’, I register the clinic to become one of the recognised “Blood Pressure Stations” in the UK. This is to invite members of the public to come and get their blood pressure checked. Undiagnosed high blood pressure can be a silent killer so I encourage anyone, who doesn’t know what their blood pressure is, to get a free check during one of the organised ‘walk in’ blood pressure clinics I offer. 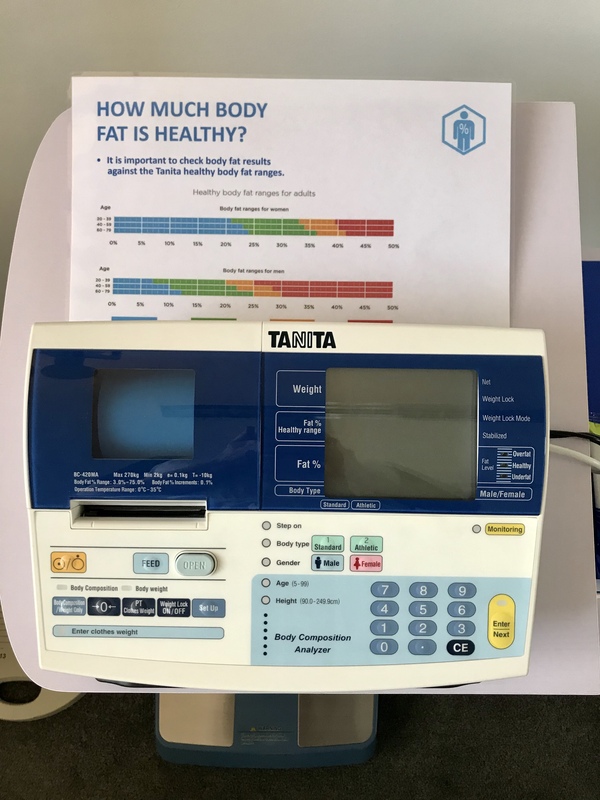 Alongside weight and blood pressure analysis, I offer clients the opportunity to have a Body Composition Analysis using a medically approved and yearly calibrated Tanita Body Composition Analyser. This analyser provides accurate body composition results (such as body fat percentage and body fat mass) using the latest advanced Bioelectrical Impedance Analysis (BIA) technology. This gives you a true indicator of your inner health. With regular check-ups we can monitor your progress as you try to improve your health and wellbeing through exercise, diet and lifestyle. The energy (or calories) that our body needs comes from what we eat and drink. Energy is burned through physical activity and general bodily functions. If you consume the same number of calories as you burn, all the calories are converted into energy. But if you consume more than you burn, excess calories are stored in fat cells. If this stored fat is not converted into energy later, it creates excess body fat. Too much fat can damage your long-term health. Reducing excess levels of body fat has been shown to directly reduce the risk of certain conditions such as high blood pressure, heart disease, type 2 diabetes and certain cancers. Too little body fat is also undesirable as this may lead to osteoporosis in later years, irregular periods in women and possible infertility. Using this analyser, I can offer you advice and support to improve your diet and activity levels to bring your body composition measurements into normal healthy levels. For more information please contact me on 01625 533813 / 07547 631 679 or click here to contact me to discuss this further. One of my particular passions is working in the Wilmslow community and especially with local Wilmslow care homes and their residents. 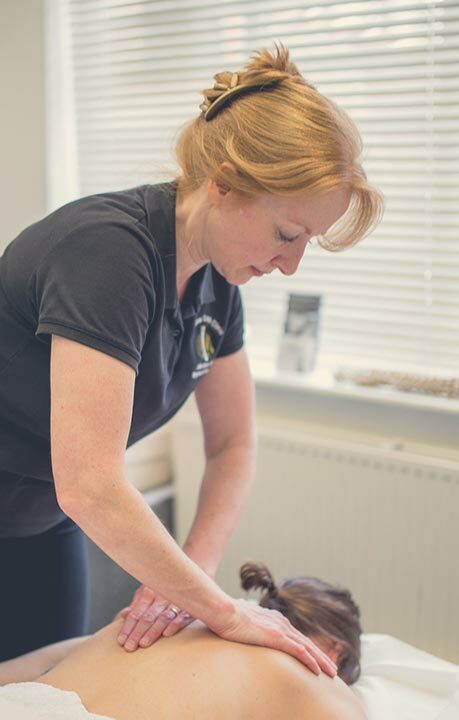 I offer a Wilmslow care home osteopathic service to the older adult community, especially those within warden control flats or independent living care homes. These are for people who can’t get out to my clinic and perhaps find the physical effort to get out and come to me is just too much. I have previously done work with Carrs Court in Wilmslow and the local Wilmslow community. I have undergone specific training to help and advise those with disability and stable medical conditions to exercise safely. 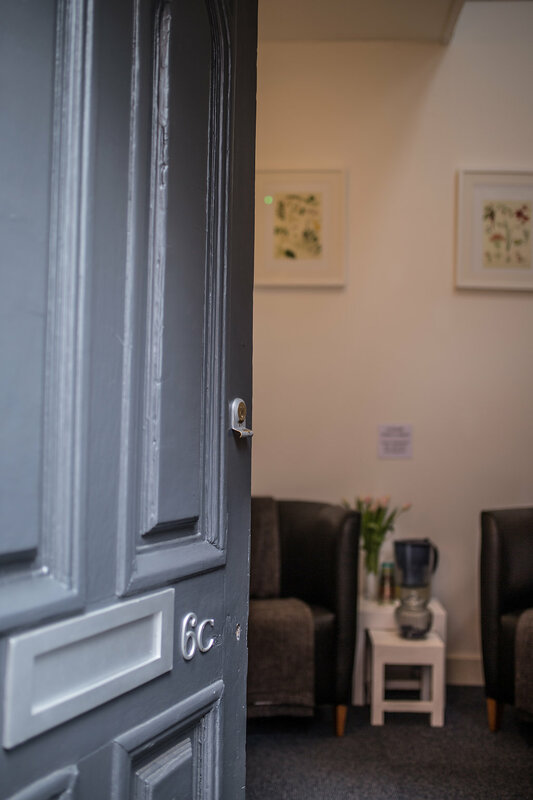 I offer a portable Wilmslow care home osteopath consultation service, bringing with me a treatment table and anything else I need to treat older adults in their own homes. I treat them in their own environment where they feel safe and familiar. Perhaps you have parents in a care home setting, either independent living or council run in the Wilmslow area? I have also been trained in Chair Based Exercise to be able to provide a 1 hour weekly seated exercise class in the Wilmslow community for a minimal charge per person based in a main care home lounge where I go through all the joints to get them moving in a seated position and get the residents moving about. It’s an easy exercise routine to follow each time so that they learn the movements and can do it for themselves at other times if they need to. The idea is that they don’t need to wait for another week before I come back – whenever they feel stiff or haven’t moved, they can do the exercises I have taught them. Contact me if you’re interested in getting something organised for your family member and I can speak to the care home involved. Social activity is good for their memory, learning something new to add to their daily routine, plus the exercises help with coordination and building muscle mass. My seated exercise class helps with fall prevention too. Older adults can fall because they feel unsteady. This can happen if they’re spending a lot of time sitting and then need to get up to use the toilet, for example, they can have a drop in blood pressure. I teach them to get their body moving a little bit before they need to get up. Get them into the habit of getting their system moving first – a few calf pump exercises particularly – to help prepare their body into getting up. This then stops them from feeling wobbly and falling, stumbling or losing their footing. or please click here to get in contact with me to discuss this further. 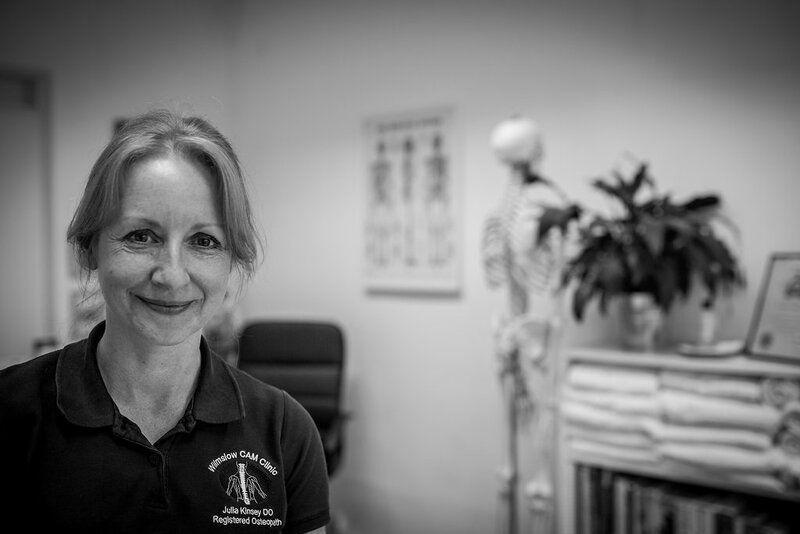 My name is Julia Kinsey and I’ve been an osteopath for 25 years. I’m from a medical family and always wanted a career in healthcare, but I didn’t really want to do it in a hospital setting. 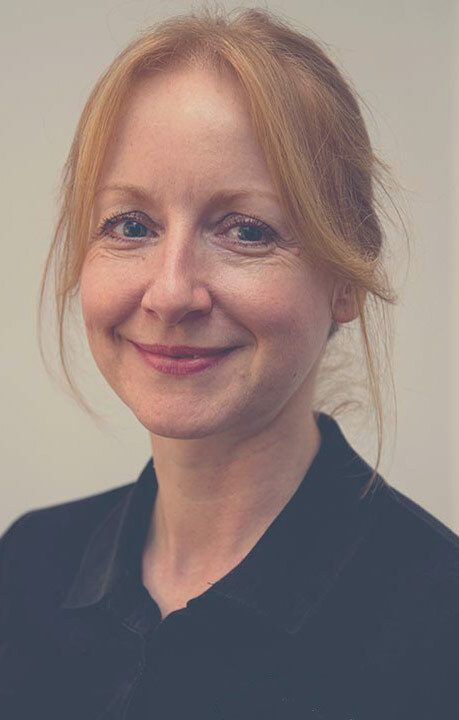 Instead, I wanted to be community based and have the freedom to offer people more time to help them, so they don’t feel like they are on a waiting list or a conveyor belt of care. 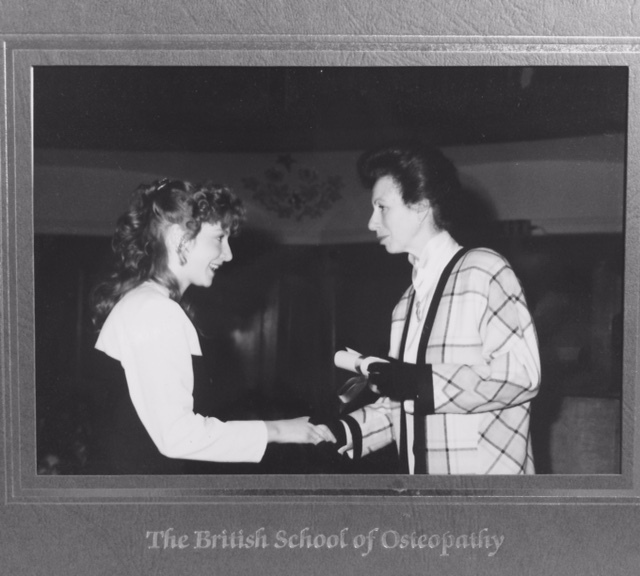 I graduated from the British School of Osteopathy in 1991 and became an Associate Osteopath in a practice in Cambridge. 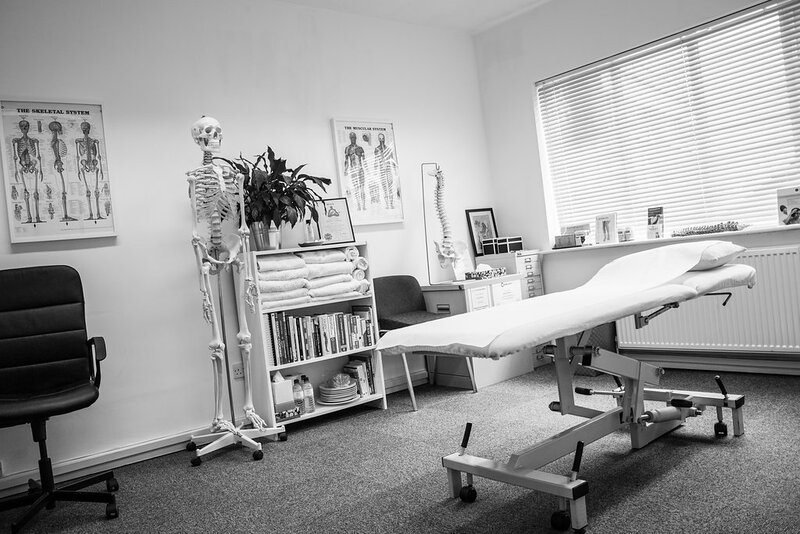 Since 1999, I’ve lived and worked in Wilmslow as an Osteopath in my own clinic. My passion is to treat clients in a 1:1 setting without a hurried consultation time. 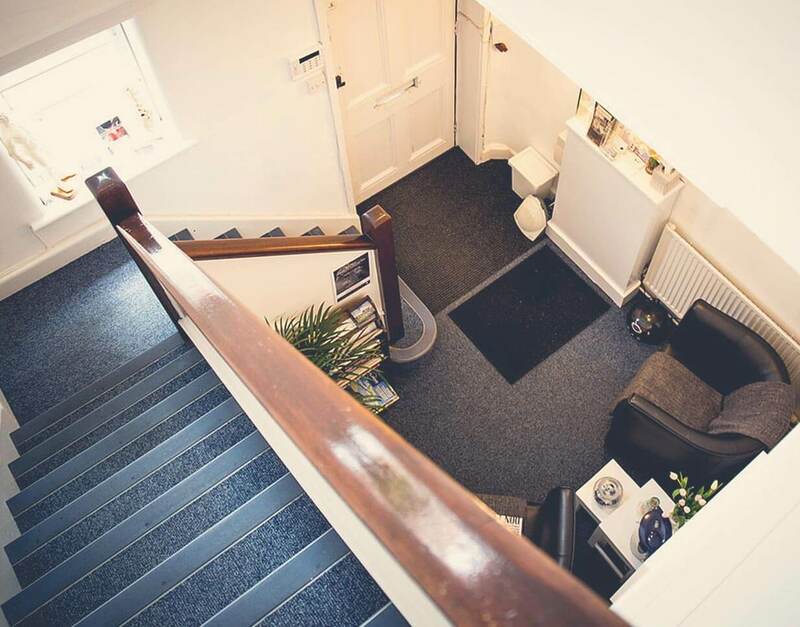 This means we have the opportunity to discuss your concerns in a relaxed setting and also deal with any other factors that come up through the consultation. Throughout my career, I’ve had lots of experience working with different therapists and clinics, as well as working in my own clinic. 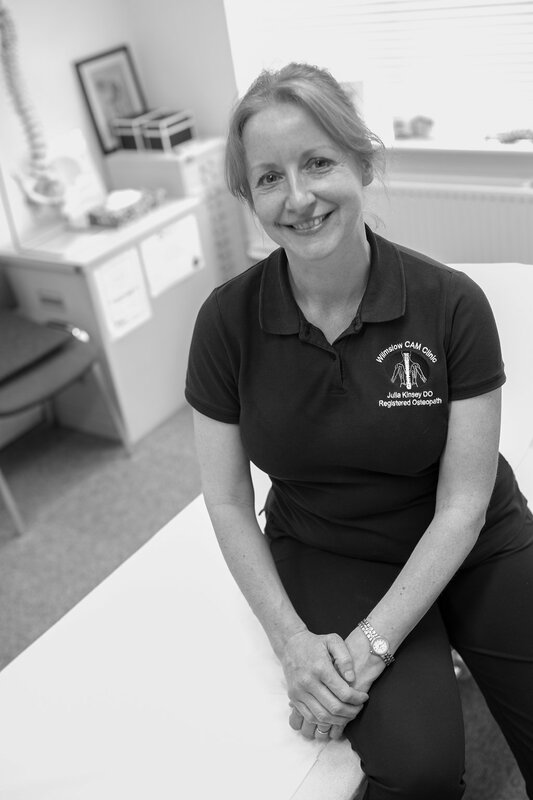 My other passion is working out in the community, offering treatments and Seated Exercise Classes to those in residential and care homes in the Wilmslow area. Over the years I’ve been in practice, I’ve seen people of all ages and occupations. It may be surprising, but I’ve found that manual work and heavy lifting are not the major causes of the pain that many people see me about. My most frequent patients are those in the 35-55 age group with occupations that mean they remain seated most of the day. Prolonged sitting without proper back support and desks set up in the wrong position can result in repetitive strain to areas of the spine. This, combined with wear and tear changes that happen in the spine in this age range, starts to take its toll resulting in aches and pains. I am AXA PPP and BUPA registered. 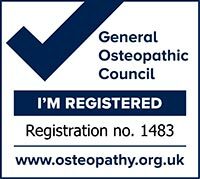 I’m also registered with the General Osteopathic Council (GOsC) , which regulates all osteopaths to ensure we maintain a strict code of professional conduct and continue to update and refresh our knowledge. Why don’t you contact me to let me know what is concerning you? The first consultation and treatment. Lasts approx. 1 hour. Click to contact and make an appointment. One-to-one or small group tuition to introduce you to the many benefits of Nordic Walking Technique (1hr). I organise walks in local parks around Wilmslow such as The Carrs Park, Styal Country Park and the Bollin Valley Way. Poles provided. I can arrange and hold a 1 hour seated exercise class with residents of Wilmslow care homes. January - Love Your Liver Month! Do You Love Your Liver? Love your Liver! The liver is the largest gland, and the largest solid organ in the body. If you place your right hand over the area under the ribs on the right side of your body it will just about cover the area of your liver. Know Your Numbers! Blood Pressure Week is the UK’s awareness campaign. It encourages adults across the UK to know their blood pressure numbers and take the necessary action to reach and maintain a healthy blood pressure. In the UK, one in two women and one in five men over the age of 50 will fracture a bone. 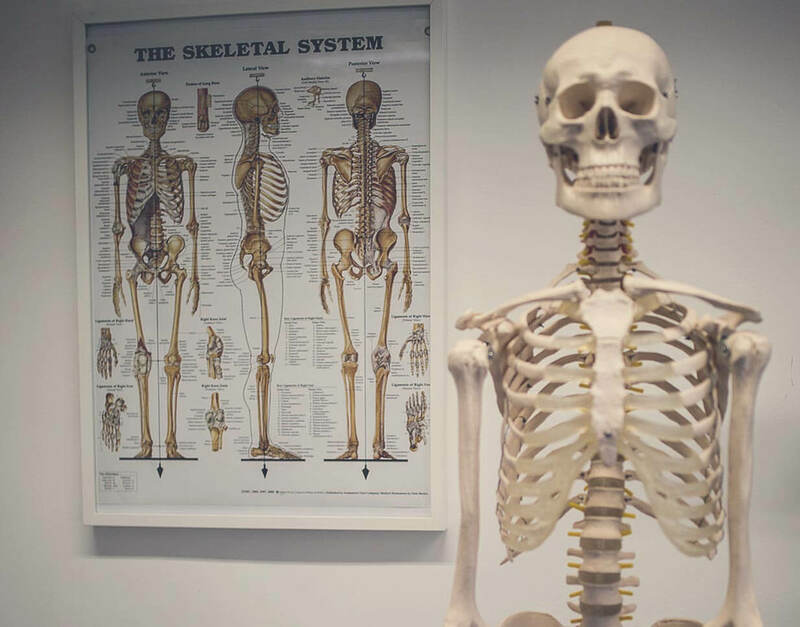 Osteoporosis is a condition in which the usually strong support struts that make up the inside of most bones becomes thinner, which can lead to bones becoming fragile and breaking easily, resulting in pain and disability. Is Back Pain Treatment Useless? I’m raising money for the British Heart Foundation during February 2018 and I’d be so grateful for your support. Why is Sleep Important in helping Back Pain? Challenge yourself to sit less & move more at work! On 28th January 2017 the team at Wilmslow CAM Clinic swam 34 lengths each to help raise funds for a local GB snowboarding athlete. So, how do you tell the difference between a faddy diet and one which will help you lose weight at a sensible rate and keep it off? Do you need an Osteopathic 'MOT'? I’m pleased to introduce a weight management product, Slimroast Weight Management Coffee, which I feel confident will be helpful for clients wanting to lose weight to help their back and joint conditions. All week I have been offering free walk- in blood pressure checks for Blood Pressure Awareness Week. Holistic Health Event – Ever wanted to know more about Alternative and Complementary Therapies but didn’t know who to ask? 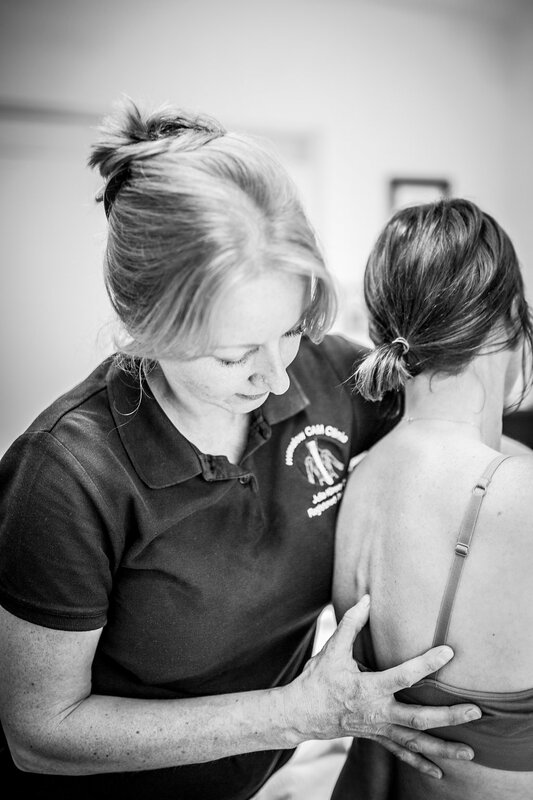 Why do I hear a ‘Click’ during spinal manipulation? 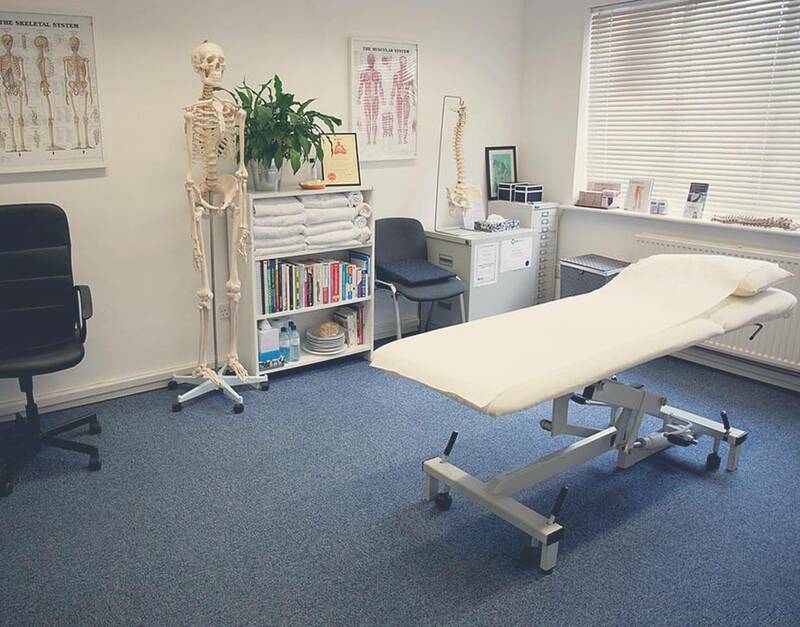 June is the beginning of my 25th Anniversary as an Osteopath! In accordance with GDPR, if you use this form your email will be deleted after your initial enquiry. Any personal details will only be taken and securely stored once you have registered as a client and completed and signed a Health Screening and Consent Form.